Its with great pleasure and a little sadness that one of the LMC founder officers has retired from the role of Registration Secretary on the 19th October 2015 and was replaced by our current officer David Terzza. 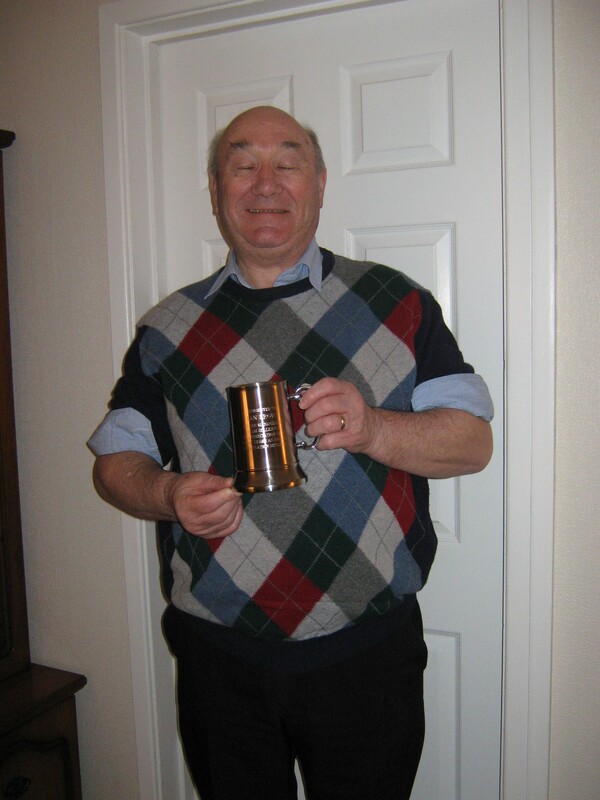 The LMC met in February 2016 and presented Ian with an engraved silver tankard to say farewell and thank you for all of his hard work and commitment to the league and the LMC over the years since the formation of the Girl’s league in the 2003-2004 season. “Please give my sincere thanks and gratitude to the Management Committee for the wonderful gift of a tankard. (every time I have a drink I will think about the Girl’s League.) Who would have thought all those years ago when we met with the Harrogate Borough Council to discuss forming a Girl’s League that it would grow to be the size it is now. This is due to the hard work put in by the Management Committee. May I wish you every success in the future especially now that the League is expanding to Under 19’s”. Finally as League Secretary & on behalf of the LMC may I wish Ian all the very best in his retirement and say thank you for his continued capacity and involvement with the Girl’s league as Vice President.